T he movement to shift the discourse from diversity to pluralism in its essence is designed to value the multicultural aspects that enrich the student bodies of many colleges and universities. In the 2007 article Understanding and Promoting Religious Pluralism on College Campuses, author Robert Nash shares that often topics of religious diversity are avoided due to the volatile nature of the topics as well as the educator’s lack of sufficient knowledge of various religions to navigate the conversation. In the interest of avoiding the possibility of excluding individuals with certain religious and spiritual beliefs, thereby inadvertently discriminating against a particular religious group creating tension and hostility in the classroom, educators choose to avoid the topics of religion in pluralism conversations. According to Nash, those institutions that do attempt to include multiple religious practices often create shared spaces of worship, which he claims can antagonize some groups, as they would rather have their own worship space created for them as a means of demonstrating true acceptance from the university. However, this in turn creates a separatist situation rather than an inclusive atmosphere for sharing and learning and experiencing the diverse spirituality of the student body. He claims “unless these separate groups are able to come together to dialogue openly in designated, multi-faith, dialogue spaces, in classrooms, residence halls, and cafeterias, then religious Balkanization, and the triumphalism and suspicion of others that are its inevitable byproducts, will sooner or later threaten to fragment entire campuses” (Nash, 2007, p.3). First, how can universities and colleges create an atmosphere of respect and appreciation of each religious practice and belief system without adding to the fragmentation of the campus? 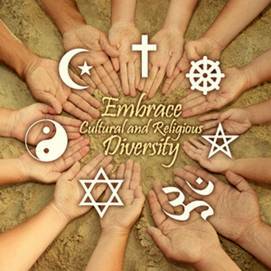 Second, how can the appreciation of religious pluralism be infused in classroom discussions in a way that is inclusive and respectful rather than potentially marginalizing and volatile when there is such a range of religious and spiritual knowledge, facts as well as assumptions, which are not commonly understood or known by students and faculty?